You most surely know, and appreciate, the recent trend, nearly a part of the proverbial zeitgeist now, which could be described as a renewed attention to place. Wendell Berry’s astute and elegant essays and novels (there is a new collection of Port Williams membership short stories coming later this month) have helped many of us, and has illustrated this trend. The “buy local” movement–saying no to big box sameness and the idol of efficiency at the cost of care and relationship (can anybody say amazon?) or, say, the foodie movement, reminding us of the importance of knowing from where our poultry or fruit comes—are all indications of our desire for real groundedness. I do not use the term rhetorically. Christian Faithfulness in an Culture of Displacement by Brian Walsh & Steven Bouma-Prediger (Eerdmans; $27.00) which is one of the most insightful studies of home and place I’ve ever seen. I celebrated far and wide last year when Craig Bartholomew published Where Mortals Dwell: A Christian View of Place for Today (Baker Academic; $29.99), a major work that examines the role of place in the Bible, in the history of Western philosophy and theology, and how such a category of thinking can affect our daily discipleship. Foundational to all of this is the assumption that in God’s world, our places matter—built and natural, both—and inevitably shape how we live. The Architecture of Happiness by Alain de Botton explores this wonderfully, and its popularity (even being mentioned in a hip Hollywood movie) again points us towards this trend, and the good truths we are ironically discovering in this virtual postmodern world. When religious folk talk about going “home” these days, they may not mean being heaven-bound in the afterlife, but may more likely be talking about some longing for belonging, a true place, a place where stories cohere and life makes sense. Home. We are, doubtlessly, for better or for worse, shaped by where we come from, so we’d be wise to attend to our roots and our places and homes. I think that memoirists know this best, as it seems inherent in the genre: lives unfold, from somewhere, bouncing around like pin-balls, hit hard by others, or just grazing them, shifting here or there. A good memoirist tells her story, layer by layer, not just listing biographical facts; she struggles to discover and allow her readers to discern, some pattern, some thread, some making of meaning, from episode to episode, year by year. I start this short review with this long intro for two big reasons: Margie Haack’s lovely, interesting, inspiring new memoir, The Exact Place, is yet another example of a contemporary Christian leader reminding us of the importance of place. I wanted to put her story alongside heavier non-fiction studies in order to suggest this. 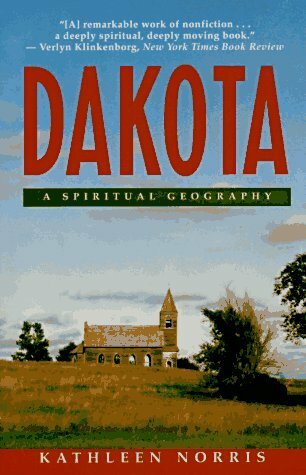 Indeed, in her beautiful, potent introduction Ms Haack cites Kathleen Norris’ evocative phrase “a spiritual geography” as she tells how her own rugged Northern Minnesotan upbringing shaped her personal landscape. There was a stark, even frightening beauty to the land just north of the Plains where I grew up; it was a constant reminder of the paradox of human strength and its inherent limits. These are stories about place and family, and are firmly rooted in the stark beauty of the northern Minnesota landscape. The people, the animals, and the physical nature of the land shaped my personal landscape. No matter how far I move from them, I cannot shed them. Nor do I want to. They are powerful reminders of both the strengths and the limits of human love, they have become part of the history of my spiritual geography. Ms Haack is certainly not trendy, and she did not long to share her childhood story to make some grandiose statement about place–that is my framing of it, the teacher/bookseller in me wanting to observe one important reason all of us should read these kinds of books, indeed, this book. Whether she likes me saying it or not, The Exact Place: A Memoir is important for this very reason, and is therefore instructional; useful, even. As with any good novel or biography, it raises good questions, allusively. It certainly doesn’t preach but intentional readers may be led to ponder many big questions. How might you think about your own sense of place? Do you live your life well-grounded, caring about real life in God’s real world? Do you know your place, your exact place? Do you want to shed your past? How would you describe your “spiritual geography” and personal landscape? This collection of almost old-fashioned storytelling will help you and those you give it to, I am sure. our lives. Notes from Toad Hall and now this lovely book, The Exact Place, makes ordinary life just what it is — redeemed, beautiful, and full of grace. Secondly, I start my celebration of Margie Haack’s book by citing other important books, highlighting the renewal of the local and the celebration of local narratives, because, despite being shaped by our place – the land, the animals, the seasons, the mores, the schools, the relationships, the values, the stories–it becomes clear (for those who have ears to hear, at least) that there is, as the old Puritans might have said it, superintendence. God is sovereign, we confess, and God is active, but few are the people who can say with much certainty what God has precisely done in their lives, which parts of our lives are truly right, known as God’s gift, and which aspects are derived from some seepage of sin, from our own dumb choices, or the fallout and fruit of decades of inhabiting a very broken world. We are not pin-balls randomly bouncing, but we sure do feel that way sometimes, don’t we? â€¨â€¨You see, the very title of this charming little book is itself quietly profound, the sign of a prophetic imagination: God allowed her to be in the exact place she needed to be, for things to “come ’round right” as the old Quaker song puts it. What an amazing grace to be able to, with quiet integrity, say that about one’s life. The last paragraph of the book says this so very beautifully. Do not fret my spoiling it here, though, as it will again hit you like a ton of bricks when you finish the book in your own good time, anyway. This wonderful excerpt will show you the culmination of the story (not to mention her superlative writing, eloquent and casual, insightful without being highbrow.) Listen to this. It is as direct as she gets in this telling of her tale and these are words to savor. Wendell Berry, the essayist and poet-farmer, asks the question: Is life a miracle? He answers, saying, “I believe that everything that exists is a divine gift, which places us in a position of extreme danger, solvable only by love for everything that exists, including our enemies.” I have recognized and loved many divine gifts in my landscape. It was easy to accept Norway pine, browsing deer, and falling snow. Poverty and a stepfather who liked me about as well as a broken trailer hitch were more difficult to receive, and yet I sense the danger that awaits one who refuses such gifts. So it was here, in the midst of glory and brokenness, where I found a miracle — or at least, pretty near to one: it was the thread of redemption that ran through my childhood, even through the dark hours after midnight. If I had been fat with well-being and contentment I believe I would have missed the love of God that still tracks through the wilderness heading me toward Home. I am, I was, in the exact place I need to be. Margie and her husband, Denis Haack, run one of the most wonderful ministries of which we know (with one of most fabulously interesting websites, too, which you must visit.) They call themselves Ransom Fellowship and they publish (for free, although a donation would be proper) the very wise and useful and sometimes a bit provocative Critique magazine, inviting people of faith into better conversations about complex things, nurturing cultural discernment, seeking (as their mentors Francis and Edith Schaeffer used to say) “honest answers for honest questions.” They often write (beautifully) about music and film and the questions of ordinary Christian life, coping with stress, cooking good food, trying to honor God in the mundane, learning to witness well in a pluralistic world. They have a good array of folks writing for them, and we respect them immensely. Their home—delightfully called Toad Hall—is almost like an Upper Midwestern L’Abri and their ministry of hospitality and speaking and writing and hosting concerts and reviewing movies have made them low-key rock stars among some younger evangelicals who still can’t seem to find a safe place to be mentored into wise and fruitful cultural engagement. Margie is a sassier writer than Denis and her candid look into the hectic craziness of their lives is told colorfully in another newsletter, which she does, nicely called Notes from Toad Hall. You can browse great archives of some of the stuff Margie writes at the Ransom webpage, here. 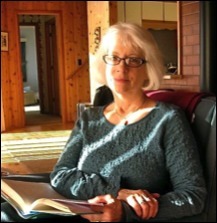 You can click on her blog, or even listen to her read a few essays (click on the “audio” icon and spend a few minutes enjoying her fine writing and wonderful insights) and see some of her famous recipes. You will love Margie and Denis and will revisit their website often. Those who subscribe to her Toad Hall know that Margie has the gift—a way with words, such an honest voice—and we are glad for both Margie and Denis’ good writing. Together they’ve served and cared and guided many of us for decades and we are glad to call them friends. (We are grateful that they have been supportive of our bookish work.) Anybody who has heard a bit of her story has told her that she has to write a book. Haack was raised in very (very) Northern, and very (very) rural Minnesota, growing up in the harsh and lovely terrain of animals, subsistence farming, outhouses, hard weather, poverty, and country neighbors, the kind that, I gather, good fences should make better. Although I adore the rural earnestness of Michael Perry (his Visiting Tom: A Man, A Highway and the Road to Roughneck Grace is just out and Beth assures me is it great) and the Lake Wobegone stories of humorist Garrison Keillor, nobody has looked at the rougher underside of a “little house in the big woods” like Haack. t winsome memory. And oh, dear, how she can tell us. Pathos and hilarity, introspection and adventure. And there are shenanigans. (She brought her horse into her house and fed him pickles?!) There are fights. There are guns. There are country recipes. There is a glimpse into a world few of us have experienced – when she went off to elementary school she reports that it was the largest building she had ever seen. She loved the school bathroom, since at that point her home only had an outhouse, and no indoor plumbing. And yet, there is something universal afoot, recalling childhood pleasures, coping with kid fears, with the anxiety of knowing that some things aren’t right (the overwhelming smell of kidney beans in their shotgun shack being only one such thing), and, too, the joy of discovery (learning to read!) and growing into adolescence, the search for a clearer sense of purpose, of finding a relationship with the God who was there. 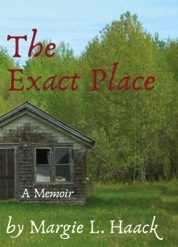 The Exact Place by Margie Haack is one of our favorite books this year and we are eager to sell this rural memoir. We are confident it will be one you will truly enjoy. We are quite glad it has been published by folks we respect, a classy, indie press called Kalos Press. Maybe you should buy several, take it to book groups, talk it up, and wonder how, as Ms Haack so honestly does, God works to bring us to “the exact place” we need to be. I mentioned that Quaker hymn, Tis a Gift to Be Simple, that assures us in turning, turning, we come round right? This quiet, simple set of interesting farm-girl stories testifies that it is true, profoundly true. In many ways, this is one of the most urgent lessons to be learned in life, and it is a story of Providence and Grace. In telling her own remarkable story Margie speaks honestly about all of us, our foibles, fears, and brokenness. And yet she realizes that it comes round right. Can’t wait to read this and thank you and Steve Garber for the wonderful reviews. We both read your book while on vacation in Mexico. Its everything a good book should be. We loved it. Congratulations Margie! !